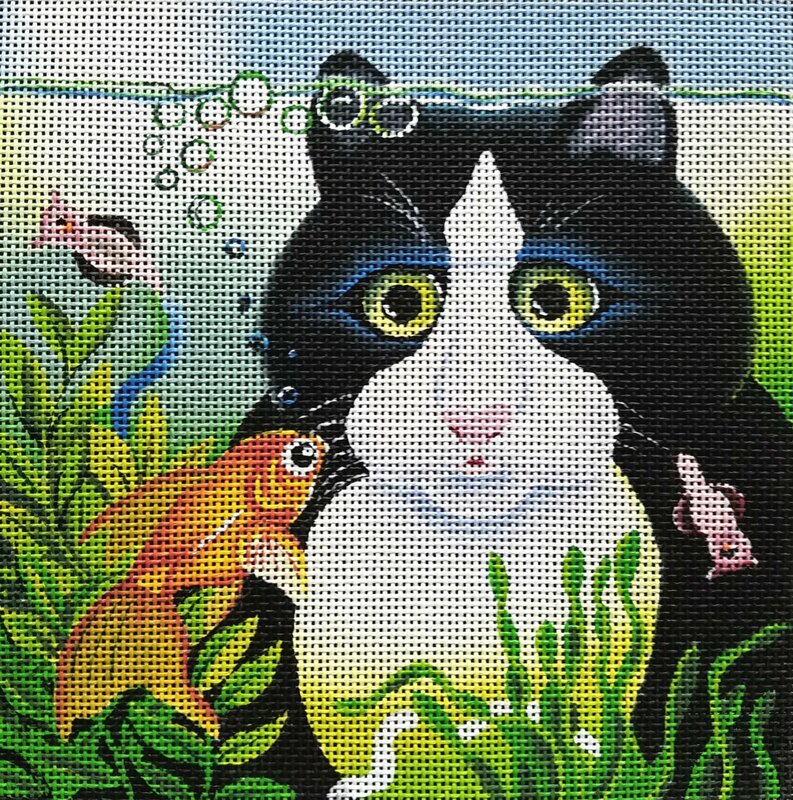 A needlepoint featuring a black and white cat eyeing up fish in a bowl. 8" x 8" handpainted needlepoint on 13 mesh. By Vicky Mount.